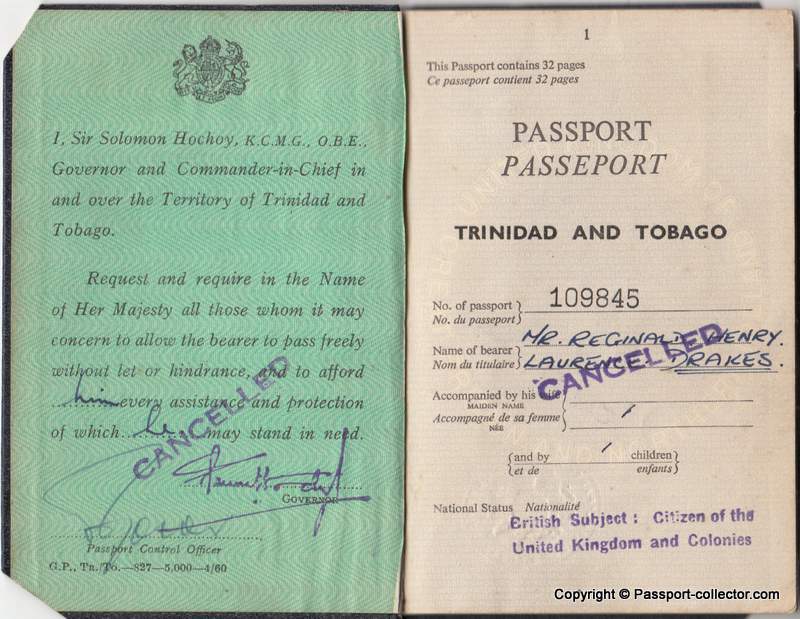 Trinidad and Tobago is a twin island country that is the southernmost nation of the West Indies in the Caribbean. 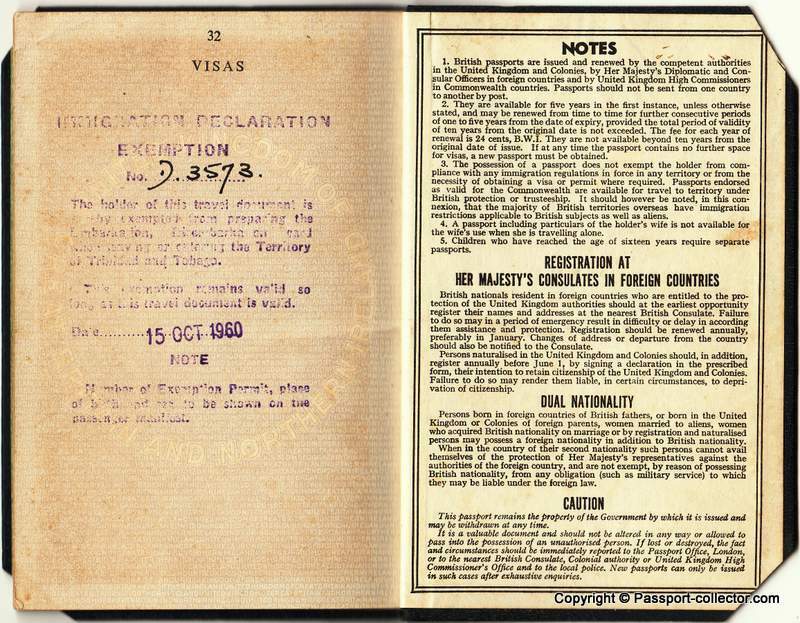 It is situated 130 kilometers (81 miles) south of Grenada off the northern edge of the South American mainland, 11 kilometers (6.8 miles) off the coast of northeastern Venezuela. 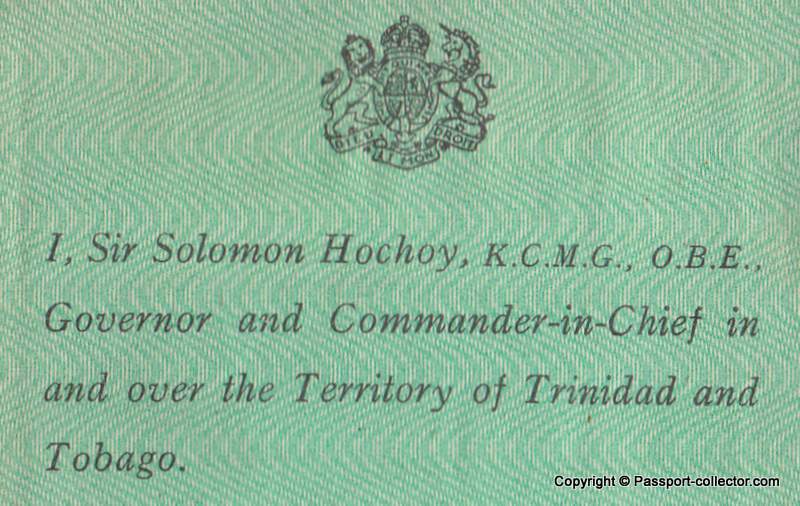 It shares maritime boundaries with Barbados to the northeast, Grenada to the northwest, Guyana to the southeast, and Venezuela to the south and west. 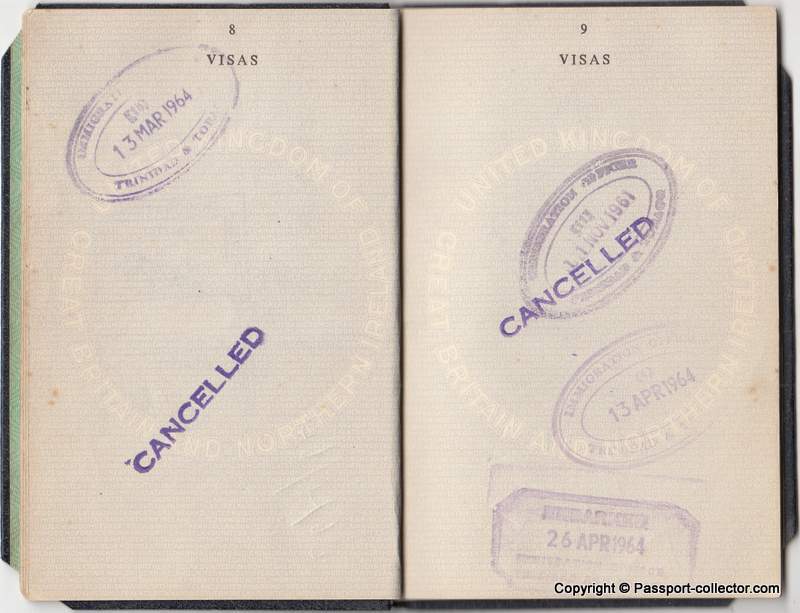 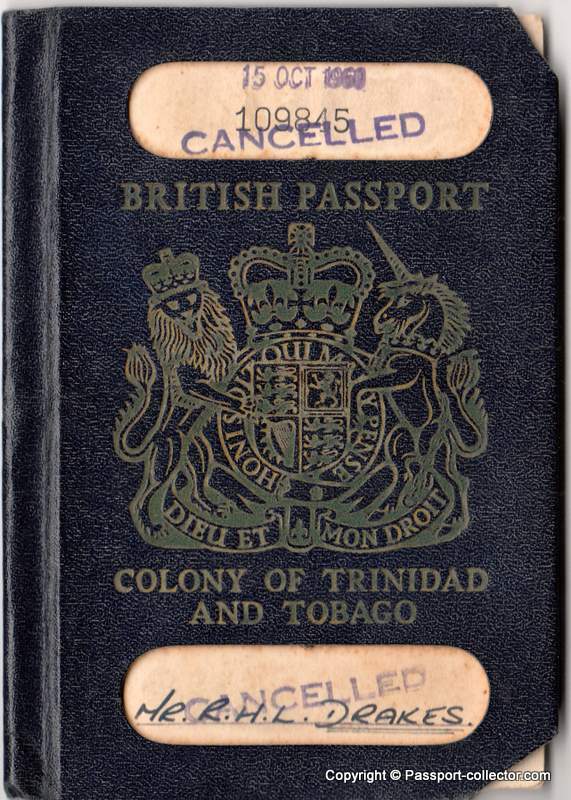 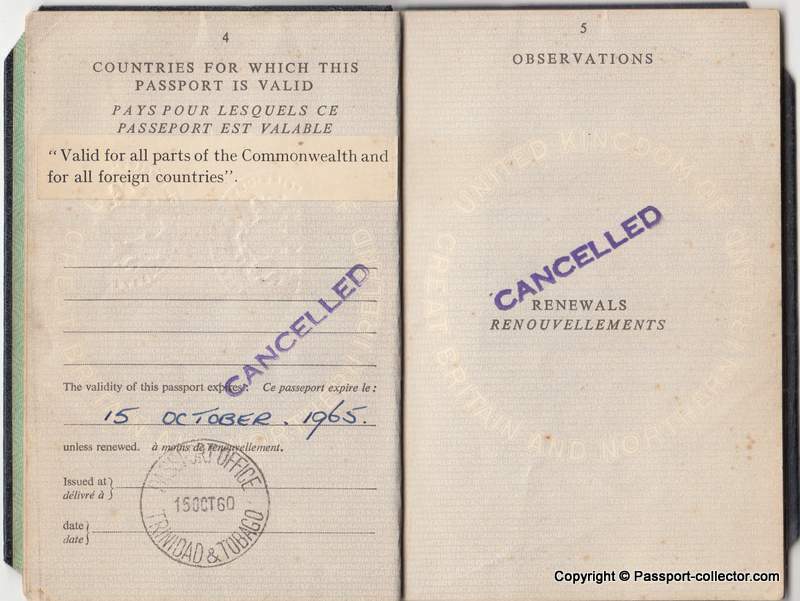 British territory passports are nowadays hard to find, especially from such remote and tiny islands. 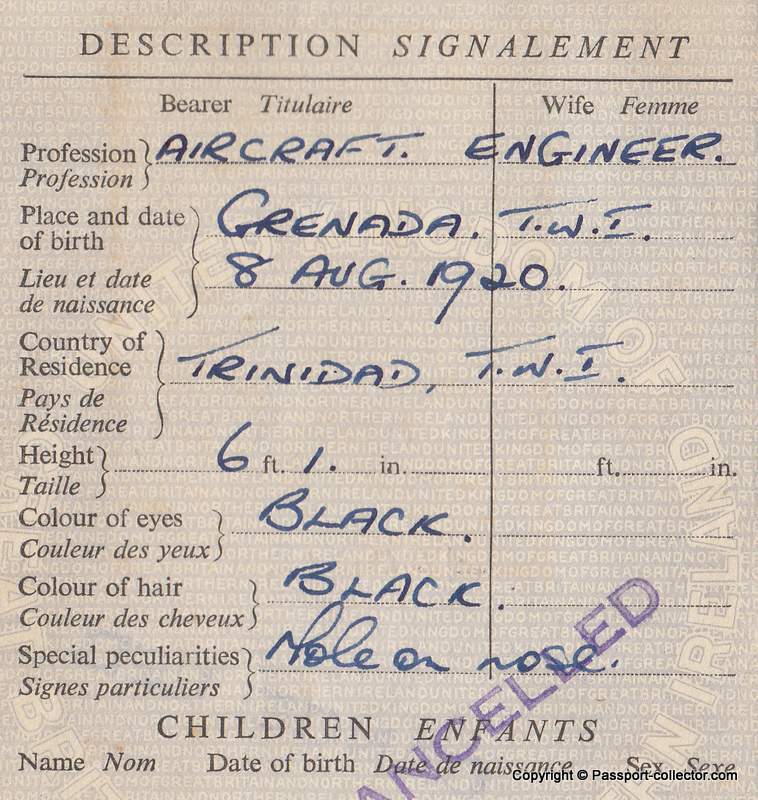 The bearer, Reginald Drakes, was born in Grenada on 8 August 1920 and worked as an aircraft engineer. 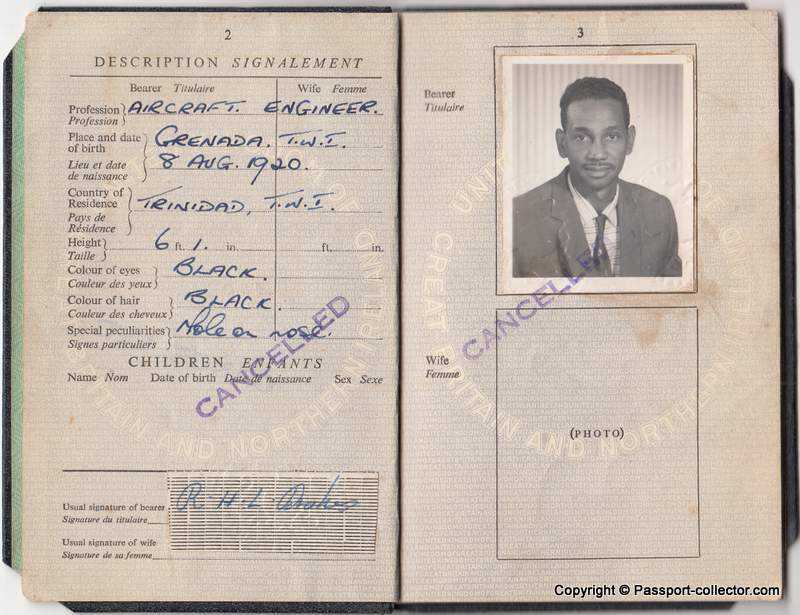 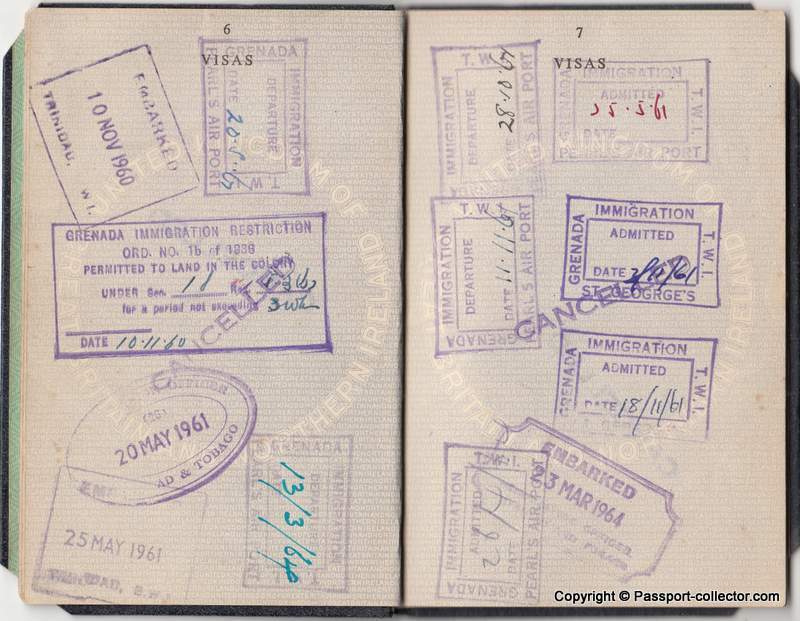 His passport was valid until 1965 and shows several entry/exit stamps from Grenada airport from 1960 to 1964.